The Libero is our specialist back care model. 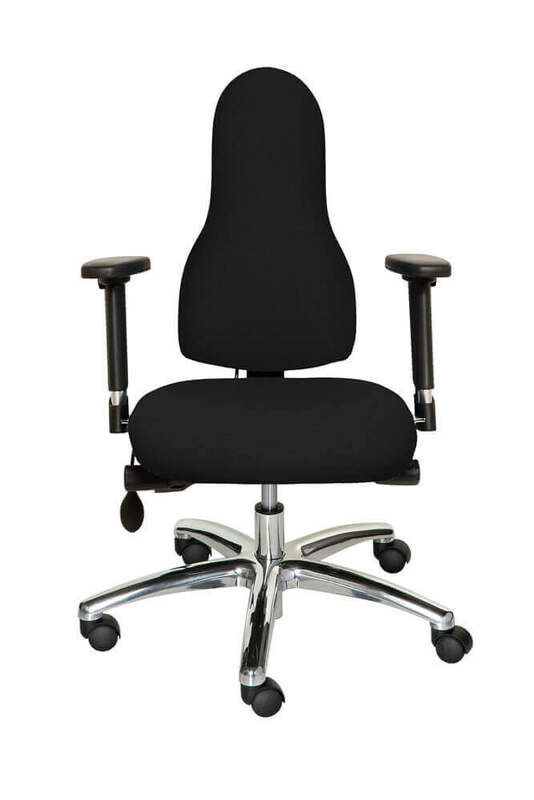 It offers bespoke support to improve posture and keep you in an upright position. The backrest can be finely tuned to your exact sitting angle from a forward to backward incline and the armrests can be adjusted in width so they support your arms by your side. The Libero’s high level of adjustability means that it can prevent and reduce general postural pain, as well as chronic back conditions such as: sciatica, RSI, frozen shoulder, slipped, degenerating or bulging disc, neck pain, knee and hip pain, fibromyalgia, spondylosis and hyper mobility syndrome and is recommended for post back surgery use. The Libero is suitable for both very petite users (size 1) as well as the average to tall user (size 2 and 3) – see our sizing guide for more information. 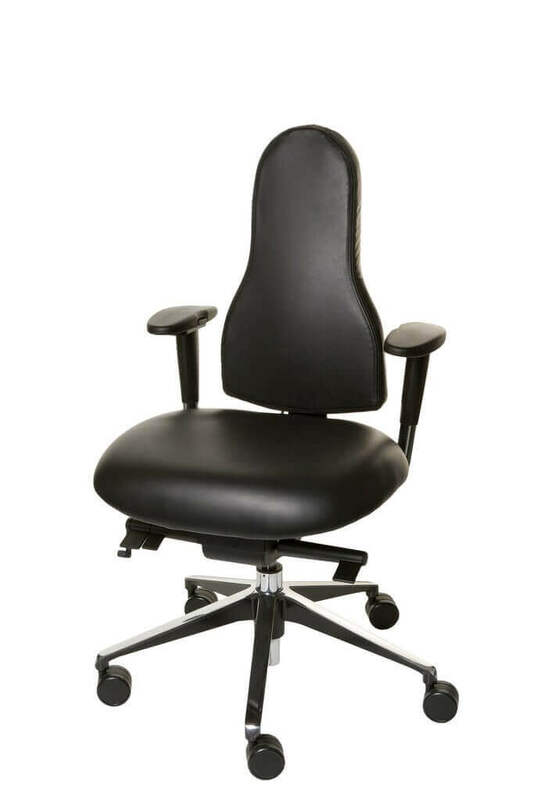 Extra Padded Backrest with inflatable lumbar support, adjustable in both height and support depth, to fit your own lumbar curve exactly. 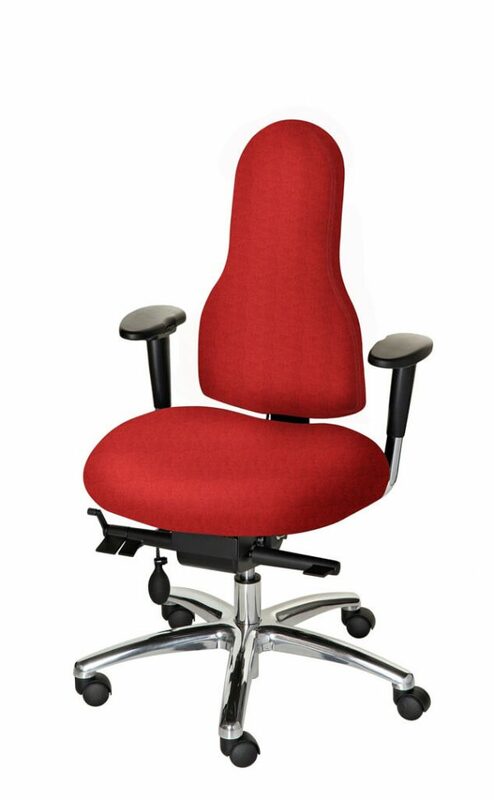 Height adjustable Seat to adjust to your own sitting height. Free float or set backrest movement that can be adjusted to your own body weight and sitting angle requirements. 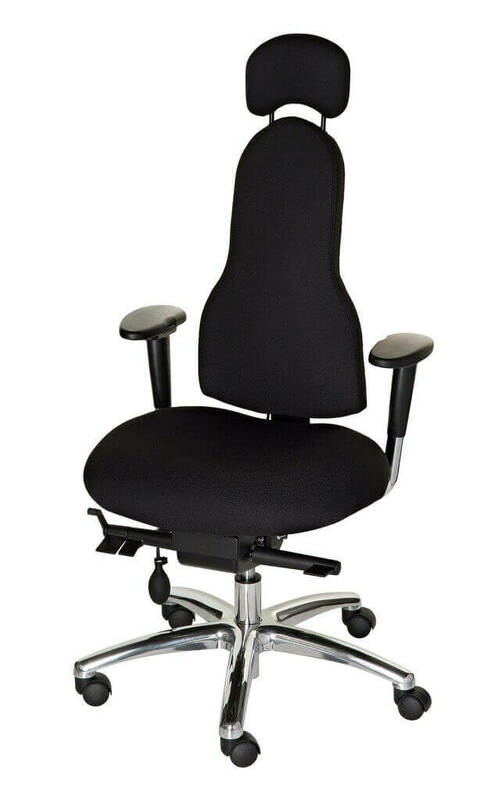 Depth adjustable seat, to adjust to your own thigh length. 7.1 Corrigo chairs and back supports are bespoke and are made upon receipt of your order, in the UK. Our standard lead time is around 3 to 4 weeks from receipt of payment. The date of delivery of the Goods and carrying out of any related assembly services specified by the Company is an estimate only and time of delivery shall not be of the essence of the contract. The Company shall not be liable to the Customer for any loss or damages whether arising directly or indirectly by any delay in the delivery of the Goods or any related assembly services. 7.2 Delivery of the Goods shall be made to the Customer’s address as provided by the Customer in the relevant order made via the Website. The Customer shall make all arrangements necessary to take delivery of the Goods on the day notified by the Company for delivery. 7.3 The Customer must notify the Company in advance of any special delivery instructions which are required to enable the delivery company to successful deliver the Goods. The Company will not be responsible for failed deliveries. 7.4 When the Company and the Customer agree on a date to carry out any assembly services relating to the Goods (fitting and assembly) on site, the Customer shall make all arrangements necessary to be available to the Company at the agreed time and place. 7.5 The Customer will give the Company 24 hours notice of any change in the prior delivery arrangements. If the Company is not notified in time to any change to the delivery arrangements all reasonable costs for time and travel will be met by the Customer. 7.6 The Company can assemble the products for the Customer only at time of initial delivery, within the UK, providing this service is requested at the time of ordering the relevant Goods and at any additional cost stipulated in the order. Regrettably this service cannot be provided to Customers outside the UK. 7.7 The Company also provides free telephone support for Goods assembly queries, together with an online office set-up guide and an electronic manual. 7.8 There may be certain countries or territories to which the Company is unable to deliver, in this event the Company will inform the Customer and the Company reserves the right to refuse the Customer’s order and any monies paid to the Company in relation thereto will be refunded within a reasonable time. 7.9 If the customer uses their own shipping company for delivery of the products, they will be responsible for insuring against loss or damage in transit. Corrigo Design can only be liable for loss or damage in transit when paying their own shipping delivery company directly and not be liable for other companies used. 7.10 If the customer uses their own shipping company they will be held responsible for organising any repayment for loss or damage of their goods or products in transit, or dealing with any custom issues. Upon receiving the funds, to cover all replacement costs and shipping, Corrigo Design will organise replacement parts to sent as required. 8.1. Customer should note that in accordance with the following, the Customer should retain all packaging for the Goods which must be returned if claiming a refund. The Customer must use the Company’s courier service for returning the chair goods, unless agreed otherwise by the Company. 8.2 Chair purchases: Without prejudice to clause 9 below, the Company may offer a 14 day ‘buy and try’ sale or return period for chair purchases for Customers in the UK – if the Customer is not entirely happy with the Goods within the 14 day period just let the Company know and, providing the Goods are returned in original condition and in its original packing, the Company will accept the Goods back and provide a refund of the purchase price for the relevant Goods to the Customer. The Customer is, however, responsible for paying the initial delivery charge, currently £45 per unit of the Goods. With Goods ordered by Customers outside the UK, the Company generally cannot offer such a trial period and can only take the Goods back and provide a full refund in the event of a significant fault other than a fault caused by the Customer themselves. In the unlikely event of the Customer having any cause for complaint with either the Company’s customer service or the Goods the Company guarantees to fully investigate the complaint and reply to the Customer within 10 days of notification. The Customer will need to contact the Company to arrange for the Company’s courier service to deliver the item back to the Company at the company’s cost. Please note the Customer will be responsible for the Goods until the Company can confirm receipt at the Company’s premises. 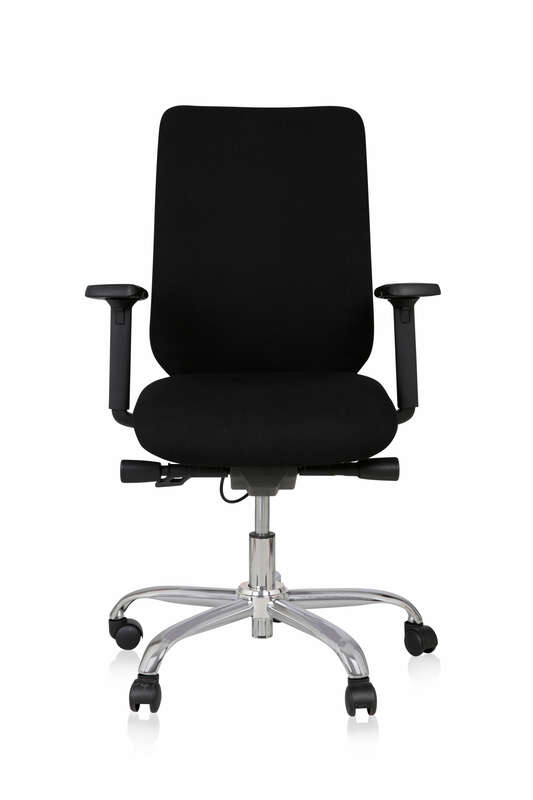 8.3 If the chair is not purchased and Corrigo are not notified of a request to return the products by the end of the 14 day trial period, or collection of the product is deliberately obstructed, we will charge the standard rental fee for the period, starting from the end of the 14 day trial period until the date with which we are notified of a request to return the product/or given access to collect it. This is currently set at £7.50 plus VAT a day, plus collection costs. Extension to trial periods are sometimes offered for exceptional circumstances, by prior arrangement before the expiry of the 14 day trial period. Mobile Back Support purchases: Without prejudice to clause 9 below, the Company may offer a 7 day ‘buy and try’ sale or return period for mobile back support purchases for Customers in the UK – if the Customer is not entirely happy with the Goods within the 7 day period just let the Company know and, providing the Goods are returned in original condition and in its original packing, the Company will accept the Goods back and provide a refund of the purchase price for the relevant Goods to the Customer. The Customer is, however, responsible for paying the return carriage charge. With Goods ordered by Customers outside the UK, the Company generally cannot offer such a trial period and can only take the Goods back and provide a full refund in the event of a significant fault other than a fault caused by the Customer themselves. In the unlikely event of the Customer having any cause for complaint with either the Company’s customer service or the Goods the Company guarantees to fully investigate the complaint and reply to the Customer within 10 days of notification. 8.5 Refunds in accordance with this clause 8 will be made within 14 days of receipt of the returned Goods, subject to them being in re-saleable condition. All refunds are subject to inspection of the Goods and confirmation that the items have been returned according to this refunds policy above. The Company will usually refund any money received from the Customer using the same method originally used by the Customer to pay for your purchase. 9.2 Notwithstanding and subject to the refunds policy above and cancellation rights (if applicable) below), purchasers of ‘stock’ Goods will have the right to cancel orders within 24 hours of placing the order for the relevant Goods. 9.3 In the event that the Customer acts as a consumer as defined in the Consumer Protection (Distance Selling) Regulations 2000, the Customer has the consumer right to cancel any order for Goods placed on the Website from the date of the order until the end of seven working days from the day after the Goods are received by the Customer, for a full refund. This may only be done by the Customer sending an e-mail to the Company at any time after the Customer’s relevant order up to the end of that period, quoting “Cancellation” in the subject heading, and including the Customer’s email address, name, contact details, order number, and stating that the Customer wishes to cancel the relevant order. Cancellations received after this statutory cancellation period won’t be valid. If the order has already been despatched to the Customer at the time of such cancellation, any such cancellation will only be valid if the Customer then returns the relevant Goods to the Company within 28 days in such a way as to preserve the relevant Goods in the same condition as they were received by the Customer. 9.4 The Customer should note carefully that special bespoke orders placed for Goods to be made to the Customer’s personal specification cannot be returned for a refund or cancelled in accordance with the above Conditions in any circumstances. 9.5 The above cancellation right applies only to consumer Customers and not to business Customers. 10.1 The Customer should note that the Customer should retain all packaging for the Goods which must be returned if returning faulty Goods. The Customer must use the Company’s courier service for returning faulty Goods, unless agreed otherwise by the Company. 10.2 If for any reason you feel the item you have received is faulty please contact us as soon as possible to let us know that the item has a fault. Once the fault is identified we will ask you to return the item and provide a replacement. In the event that a replacement is unavailable (whether it be due to a discontinuation or end of line clearance) we will either replace it with a similar product or provide a full refund. If you are returning an item because it is faulty we will reimburse your return costs once we have inspected and confirmed the item has a fault. 10.3 If you wish to make a return, you must contact us to arrange collection. Please note that you must retain the original packaging, without which we will be unable to collect it.